When keeping ants people have it idea that Hibernation is absolutely necessary. They blame this on the fact that most queens fail. Actually I've the same amount of queens eventually fail that have been hibernated as the ones who haven't. So here are the facts as I understand them. The earth's rotation around the sun is elliptical, not a perfect circle. So when winter comes the earth is actually farther away from the earth. This means ant activity even in the tropics slows down, but relative to the temperature in the area. As you go farther from the equator it gets colder and colder and you find ants that have more seasonal habits. Hibernation is done specifically to survive the cold temperatures. So here's the thing though. We have a few species in America such as Lasius neoniger that is found in areas where they do not need to hibernate, and they do hold multiple nuptial flights multiple times a year. Where colder climates occur though they hibernate like all the other ants, but when they hold these always hold nuptial flights in August or September. But this begs the question Why? Why send out their young queens in a time when the cold of winter is only two months away (longer than then it would take for a colony to get up and running). For this question I don't have an answer but I suspect it's lead lots of people to think Hibernation is required. Another possibility is the European influence. People in Europe take this hobby to all new levels. They have places like Ant Store selling setups I'm very interested to try out someday. Sadly though they don't ship to the US and it would cost a minimum of $50 to ship last time I checked. Now I don't mean to put the people of Europe on to high a pedestal. They're taking way to much advantage of their nations' lack of importation laws, or at least they're not following them. But that's another topic. In Europe they have a species called Lasius niger that seems to be very similar to our L. neoniger. But in Europe they are under the influence that you HAVE GOT TO HIBERNATE THEM! I read things like Queens will shrivel up and die, they'll never lay eggs, or they'll just die after first workers. And I've got to say this sounds like every queen that I've ever had that failed. 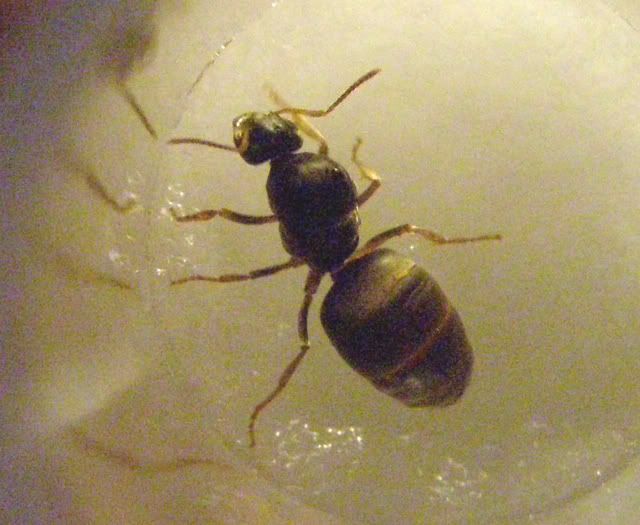 Not laying eggs, and dying after first workers are things that happen to queen ant normally. A 1% success rate tends to be true, hibernating or not. So here's a few things I'd like to point out. Lasius niger and Lasius neongier are different species. For Geographical reasons though Lasius neoniger has access to semi-tropical environments where Hibernation isn't needed. I don't know the distribution of Lasius niger completely but it seems to me you aren't likely to find it in Egypt or anywhere in Africa. The tip of which is on par with the US states Florida and Georgia. So while Lasius niger probably has a much higher success rate with a period of cold, out US. Lasius neoniger at least has a few populations where it's not needed. And the genes for these populations tend to circulate their way slowly upward. And I believe that's why I find things like Lasius neoniger queens who lay their eggs well before hibernation. And with a little feeding do just as well. Actually I've had quite a few colonies be successful with No hibernation at all. Solenopsis molesta, Crameatogaster cerasi, and Camponotus chromaiodes all don't require hibernation to start a colony. Now that is not to say they won't die later of something like flooding test tube, workers not foraging, or some other catastrophe. But apparently hibernation isn't "needed" to start a colony, at least not for all ants. Socks in my Pollinator Garden, Oh My! I was reading the Courier Post this morning (I think the one from today) and they had an article in there called "Pollinate/Keep insects in the garden," by Matt Chimento. So a couple of things caught my eye. 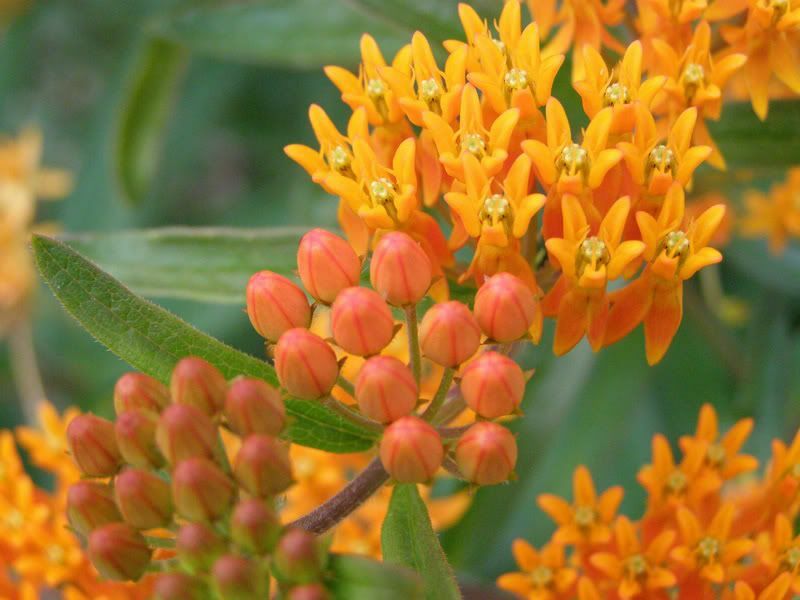 First off they recommended Butterfly Weed, Milkweed, Black-eyed Susan, and Cone flowers. Second Lorraine Kiefer, owner of the Triple Oaks Nursery and Herb Garden in Franklinvile commented. 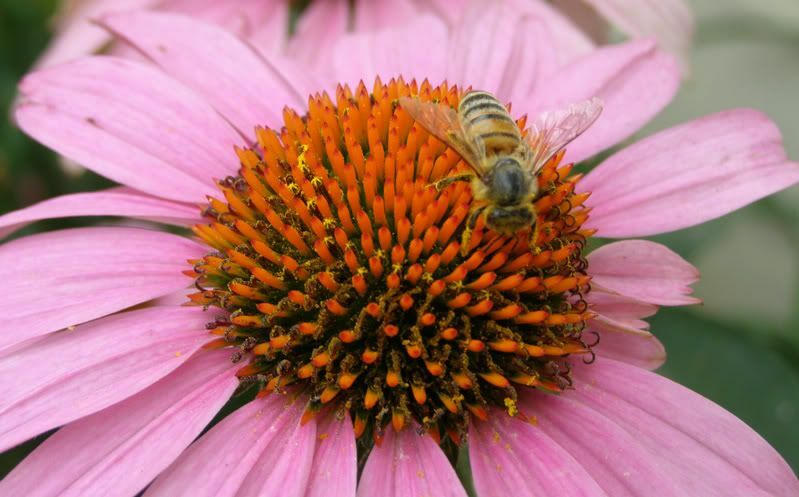 "If a gardener doesn't garden naturally, it is very hard to keep pollinators. The homeowner is not qualified to have dangerous pesticides. The bottom line is that people need to garden naturally, make the garden conductive to butterflies or honey bees." At this point I threw up all over the page at the thought of our bees taking in "sock honey." So this is a safe time of the year to talk about this I think. It's a time to prepare, and weather you're ordering nesting blocks or building your own. 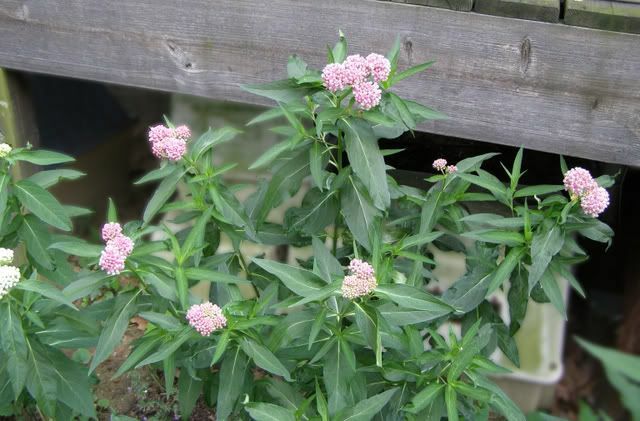 these are a great way to add some pollination to your yard. Territorial Seeds and Knox Cellar are both places selling nesting blocks and tube cans. I'm sure there are others too but these are the two I've bought from. Basically these are bees that take advantage of tubes, meaning one entrance hole. The holes are the result of beetle grubs boring out of dead wood. These are active in the spring and summer but they don't live that long. They're also specific to the size hole they like. 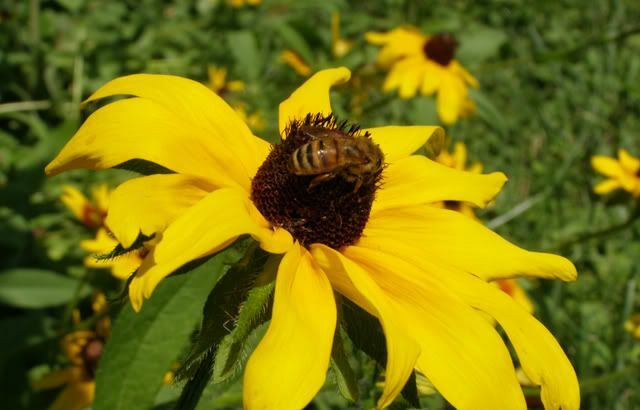 It's said that Mason Bees and other Natives are better pollinators than Honey Bees. I find this questionable at best. Sure they use Buzz Pollination (where they use their wings to force the flower to produce more pollen and nectar) but they're only alive for 4 to 6 weeks. That might be good for plants blooming at that time of year but good luck getting a stock of Mason Bees active all year. Most Ground Nesting bees hold similar lifestyles. But even then, 4 to 6 weeks of the year the adults die off and they won't be back until next year. 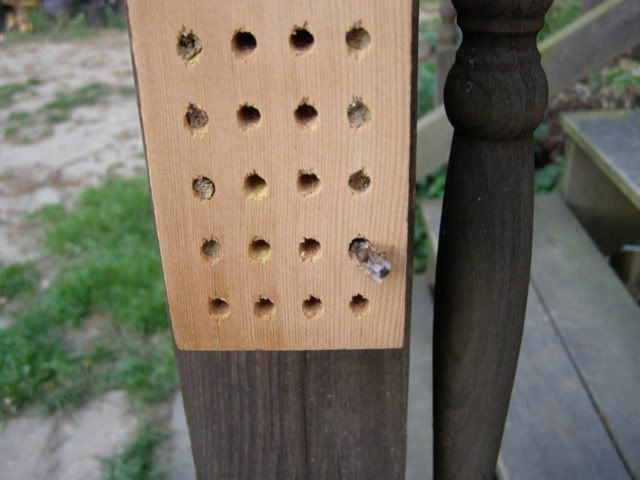 Mason bee homes are easy to make. Just drill into lengths of wood. Stay around the drill bit size 5/16 and you should attract a variety of species. The best part about these bees is they are timid! I've never been stung by one ever, even when doing macro shots of them up close.